Expectant mothers who take antidepressant drugs during late pregnancy have been warned that they place their children at an increased risk for persistent pulmonary hypertension – high blood pressure in the lungs. The authors of the Canadian-based study say the risk is low but say pregnant women should be counselled before using selective serotonin reuptake inhibitors (SSRIs). They added that decisions about treatment for depression during pregnancy must consider potential risks to the mother and the unborn baby. One potential adverse effect is persistent pulmonary hypertension of the newborn (PPHN) – high blood pressure in the lungs following birth leading to breathing difficulties. It is rare, but can be severe when associated with other conditions. Results from previous studies investigating a possible link between SSRI use in pregnancy and PPHN have been mixed, so researchers in Canada set out to summarise the data and help resolve these conflicting findings for clinicians. They examined the results of seven studies reporting PPHN with antidepressant use during pregnancy. Analysis was only possible for SSRIs, due to a lack of data on other classes of antidepressants. Differences in study design and quality – and several known risk factors for PPHN – were taken into account. The results suggest a small but significantly increased risk for PPHN in infants exposed to SSRIs during late pregnancy. 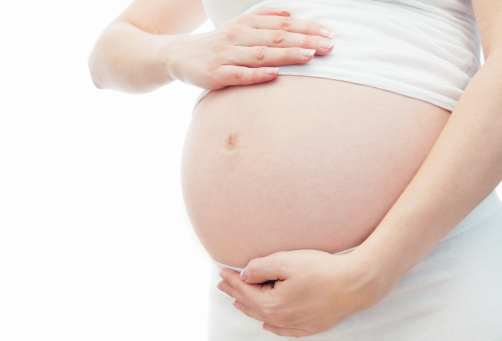 There was no evidence of an increased risk with exposure during early pregnancy. But the authors concluded that the risk of PPHN remains low – typically around two births per 1,000 – and they estimate that 286 to 351 women would need to be treated with an SSRI in late pregnancy to see one additional case of PPHN. They also called for future research to determine if other classes of antidepressants show similar associations – and whether risk factors such as caesarean section, obesity, and preterm delivery, may also have an impact - in addition to the potential effects of clinical depression.